Emerging technologies like software – as – a – service (SaaS) and cloud computing introduced the whole new dimension of business related software technologies, like open source CRM, mobile CRM, social CRM and cloud based CRM. Still there are doubts and strong debates about which CRM you should implement in your organization cloud or on – premises and which CRM (Customer Relationship Management) system is the right choice for your organization? If you don’t need much offline capabilities and don’t have enough resources for IT support then cloud CRM is the feasible choice. 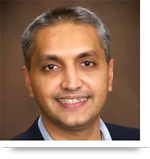 An on premise CRM can be cost effective in particular cases! If you are having too many users then you should calculate total cost of pay – per – user. On – premises CRM is more cost effective for you in this situation! Thinking critically before adopting the right CRM system is very essential to your organization. Both CRM systems have their pros and cons, before making any decision you must know those aspects and determine which CRM system can work best for your organization. 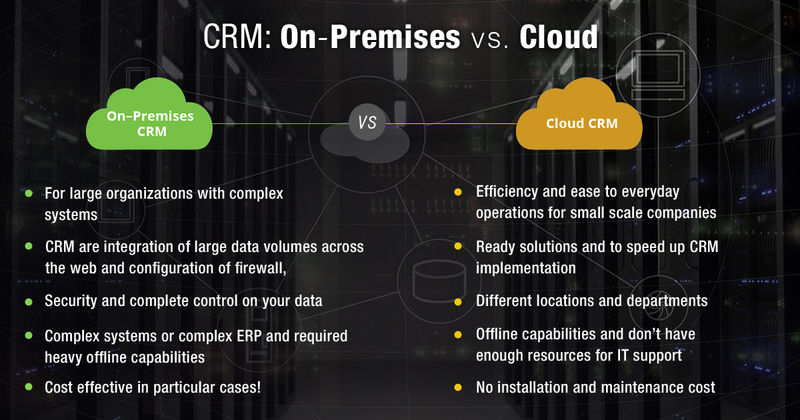 Call us at 484-892-5713 or Contact Us today to learn more about On-Premises CRM vs Cloud CRM. I think your point discussing "complexity of systems" is the most valid one on the list, because it needs the most focus. This is generally where Cloud CRM shines, because it tends to be easier to manage and maintain. With on-premise software, you have all kinds of IT issues you have to solve yourself, not to mention making sure everyone is updated when a new update is out and assuring that the database is always available locally. With online CRM software, these cares just wash away and you're left with a system that is always connected, constantly updating, and always getting better as you use it. The key is to look for CRM software that isn't complex and that isn't going to inconvenience you or make it hard for your team to use it on a daily basis. Simplicity is key, and that's why online CRM software like JobNimbus have much higher adoption rates than any other CRM in the industry.